Say what you will, but we know perfection when we see it. When approaching comic-inspired Movies + TV, are we better off not knowing anything about the source material? So yeah, UA is that good. And lots of stuff happened…a bunch of which didn’t happen in the comic run. But you know what? That’s okay! Ultimately, it’s all about the tone of the medium, and the granting the narrative enough space to ... See More breath. That, and, a cool Tiffany dance-break. The guys break down their favorite performances from the season; hypothesize on season two arcs; and fall down the LOST rabbit hole for a few. 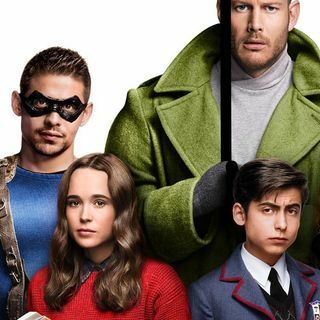 After all that, could UMBRELLA ACADEMY be the best comic book TV show of recent memory? It just might be. Give a listen!…And don’t forget to rate and review.